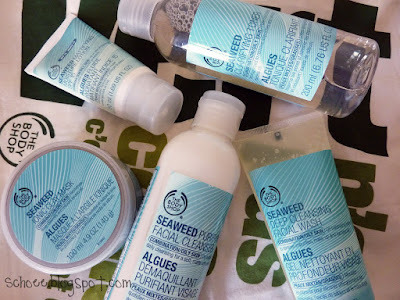 So, as most of you will have probably already seen, there was a beauty blogger event in London yesterday for The Body Shop. 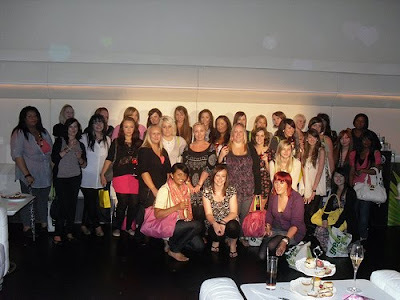 I was lucky enough to be invited along with around 30 more gorgeous girlies. The day started off with me meeting Holly (Hollymae20) & Sophie (Beautymarked19) & we then headed over to Selfridges for a bit of retail therapy before the event started. In selfridges we met with more gorgeous girlies and we wandered around for a bit. The event was in a bar/restaurant called "Sketch"
The toilets..as you will see...were absolutely amaaaazing. Never before have i been so excited to use the toilets in a public place. If you haven't ever been to Sketch, i highly reccommend you do. I'd love to go back with some friends and have some drinky poo's there. When we went inside we were greeted with champagne, cute scones, cakes, cucumber sandwiches and fruit. The set up was sooo cute, and alot of the girlies were oggling at the waiters. At the beginning of the event, we were talked through the new products, including the hand cream which is in aid of EPCAT, who are actively working to stop child trafficking & sexual exploitation of children & young people around the UK. We were also shown (and demonstrated by Chase Ashton on the adorable Laura) the new makeup range for Autumn. After that we were divided into two groups. before heading to a bar/club for some cocktails & a plate of tasty nachos just before heading home at 8pm. I SO nearly missed my train. The man shut the door behind me, and blew his whistle. I had to stand almost the whole way home...the train was absolutely packed. The event was so well thought out and the venue was utterly amazing, but it definitely wouldnt have been any of that if all the girlies weren't there. Everyone is SO lovely & you truely just get along like you've known eachother for years. I really wish these events were over a few days as you just dont get the chance to speak properly with everyone, and i always feel so guilty afterwards thinking of people i didnt speak to properly. I seriously laughed so much. Thankyou all for a fab day. Yes guys...There are decorations in Selfridges already! I used some of these today and i am really loving the results so far. 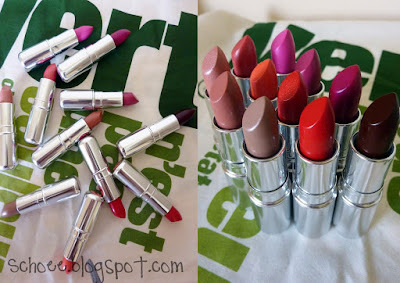 11 Lipsticks! And i love and would wear every single colour. The formulation is quite sheer, but easily buildable. 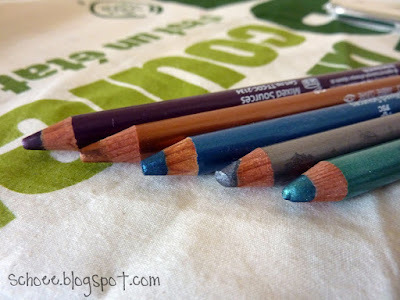 These eyepencils are so creamy and pigmented. I cannot wait to use these, my favourites so far are the purple & silvery blue. Eeeee, I'm so excited to try it all out. So far i can say im loving everything i've tried. Especially the perfume, it's gorgeous. 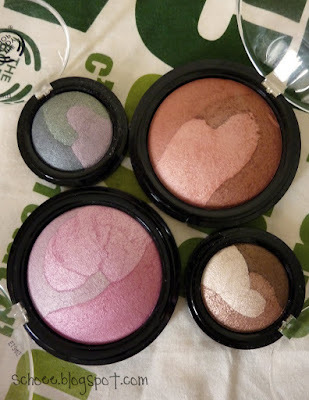 and i shall be doing some FOTD's too. If you're wanting to try/test out anything from the Body Shop, there's a promotion on the website from now until the 28th September, where if you pop anything from the new Autumn collection into your online basket, you will recieve 10% off your whole order. What a long post, haha, sorry if you got bored. I hope you didnt.